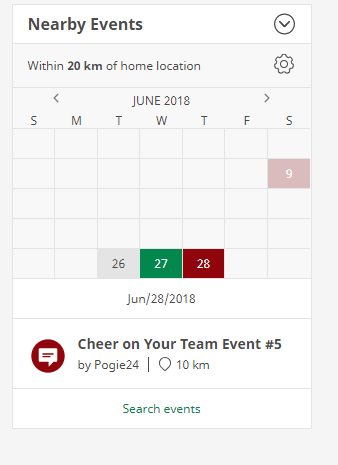 maybe a week or two ago the Nearby Events widget started to show also the events which are hundreds of kms away from my home coordinates. I felt happy at first, becasue I looked forward to be able to set higher distance for showing the not-so-close events too. So I went to the widget settings to check what distances are available to set. I was surprised to see there is still available only 100km value max, no way to set 200km for example. I suppose this is just the mistake and the distance setting is not considered anymore, which is still quite fine with me. 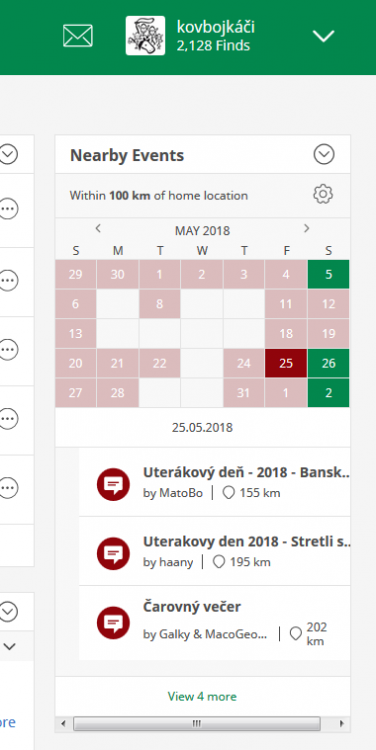 The bigger problem is that there are now usually more than three events a day and I can see only the first three (probably the most nearby three) in the list, with the link to show the rest (for example: view 4 more link). But when I click the link, it will show the geocaching search page with no result :(... There is no way to see the rest events at all. So I went to the widget settings to check what distances are available to set. I was surprised to see there is still available only 100km value max, no way to set 200km for example. I suppose this is just the mistake and the distance setting is not considered anymore, which is still quite fine with me. I believe any events that show beyond your preferred distance setting are the closest Megas and Gigas (events that you might be willing to travel a little extra to attend). Anyway, I'd be quite happy with possibility to set higher distances. The more serious problem is the link bellow the list of three closest events of the day (this "View 1 more"" link in your screenshot), whch doesn't show what it should (at least in my case). You can't see all the events of the day without it working properly. The widget isn't working at all for me right now. It currently says there aren't any events occurring within 50 km over the next 2 months, when there are actually four including one tonight and lots of Megas that should be shown. I don't normally use the new dashboard yet (still waiting for the development to resume and fix the many outstanding issues), so I don't know how long it has been like this. Maybe something broke recently to cause both my issue and the distance issue being discussed here. Yes, it happens sometimes. Mostly at this part of the day, when the servers are too slow and the widget is not able to get the data in time. Sometimes page refresh helps. You're correct. I just went back to try it again, and this time it's showing events. Based on some refreshing, it's very intermittent. It turns out I'm seeing the same distance issue. My radius is set to 50 km, but it's currently showing an event for today that's 124 km away. I'm also not seeing the closest Mega or Giga events, which I understood should be showing up. I'd expect to see Geowoodstock for this coming Saturday, but I show no events on that day. I have noticed another bug with nearby events. The event that I'm attending is still marked red (and it's been like that for weeks). And one of the past ones that I have attended is also red but sometime sit changes green. I had the same issue at the start, then it went away again. Now it's back since a couple of weeks. But this should be easy to fix and it should be fixed. Have you planned on fixing this ongoing issue ? The widget has now been broken for months ! Unfortunately, the dashboard project seems to have been abandoned. There are many outstanding issues with it and it's been a while since any changes have been made to it. It seems like the developers have been pulled off that project and are now working on other projects, like the new maps. It seems like the developers have been pulled off that project and are now working on other projects, like the new maps. I am seeing several issues with the event widget. 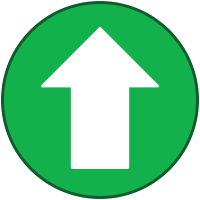 First is that expanding the distance somehow eliminates events. See first screen cap at 50 km - the only blank dates are 27 August, 2 September, and 3 September. But then I expand the radius to 100km - even though this should include more events (and you can see that it does - goes from "View 10 more" to "View 29 more" at the bottom of the widget), suddenly the next two weeks are gone. Clicking on those dates brings up zero events. Second is that, yes, I am also seeing events that should be excluded by the event radius. You can see that there are two events in the first screen capture that are further than 50km and 10 more supposedly available in the "View More" link. This carries over to the third thing I'm seeing, which is the disconnect between the "View __ more" link and what's actually shown on the next page. For example, on 22 September, as above, the widget says I should see 10 more events - but clicking the link brings up 1, because the filters are actually working on that link and there is only 1 event within 50km on 22 September. 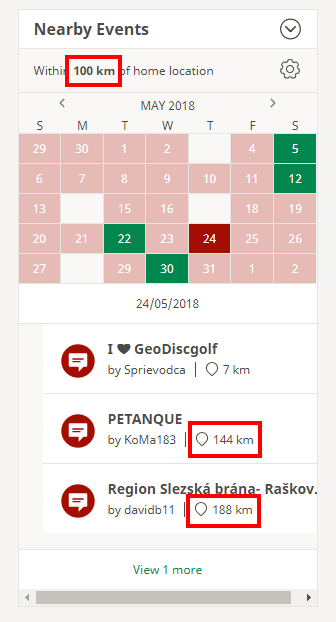 Changing the widget to a 100km radius, the link says I should see 29 more - but clicking the link shows me 7 total events within 100km, which is the actual number within 100km (excluding the 100.1km, because whatever).